I had the pleasure of photographing the wedding of Super Bowl Winning Tight End, Owen Daniels. It is always interesting seeing these tough, rugged almost super hero athletes perform on Sunday contrasted with the joy, sensitivity and tenderness they display on their wedding day. Here you see him and his bride Angela showered with confetti as their reception draws to a close. Location: The Corinthian, Houston Texas. 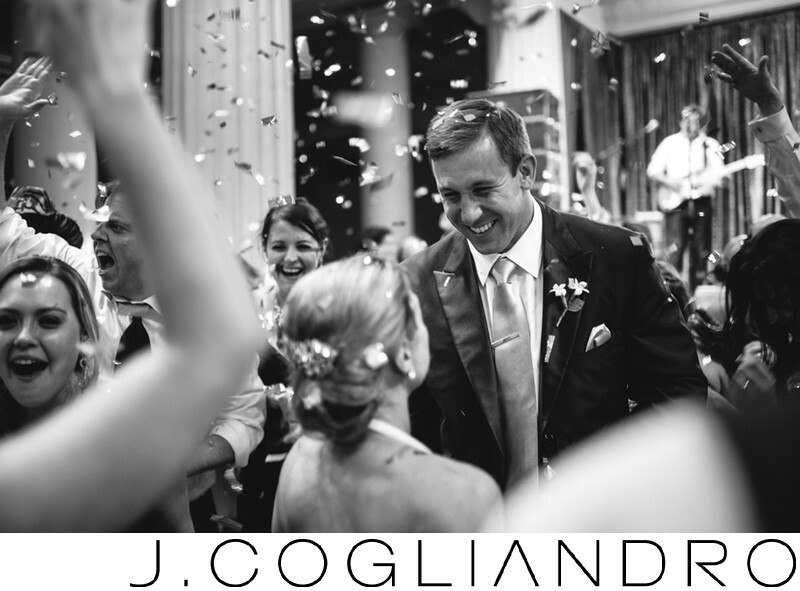 Keywords: Angela and Owen (588), Event Planner: Emily with Keely Thorne Events (177), Florals and Decor: Events in Bloom (177), Houston Wedding (792), Photographer: Joe Cogliandro with J. Cogliandro Photography (2883).